Owner Mika McInnes actualized her dream to own a French-themed one-stop beauty shop, naming it Prép Beauty Parlour in March 2017. 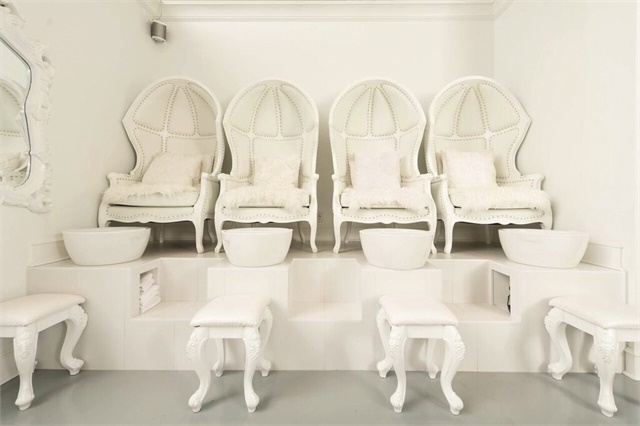 Located in the West End of Vancouver, the all-encompassing salon offers a myriad of beauty services in a luxurious setting and at a reasonable price. After working for a few years as a makeup artist, McInnes had an an urge to own her ideal beauty salon, so in 2007 she opened The Studio by Mika Does Make up, a name she says was too drawn out and difficult for clients to remember. 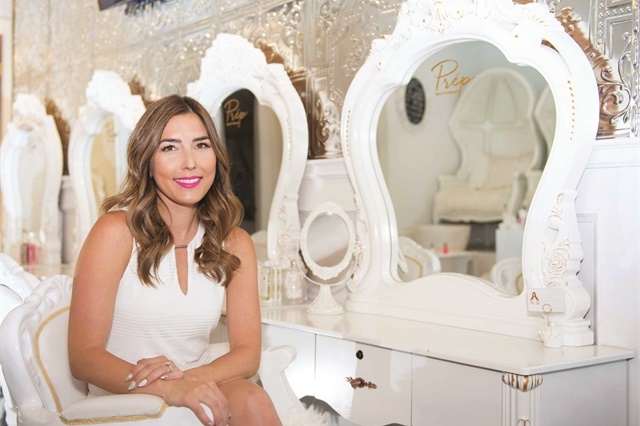 Plus, the location wasn’t as visible or elegant as Prép’s, so when she opened the doors of her new-and-improved picturesque salon, business expanded two-fold within a couple of months. 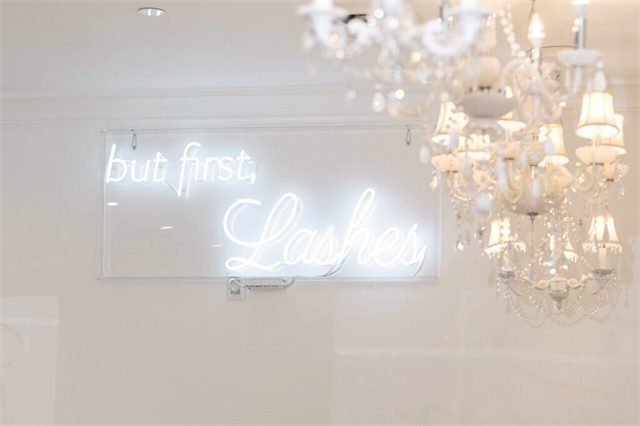 Now, her real-life dream salon includes a broad range of services: Japanese nail art, lash extensions, professionally applied make up, blowouts, updos, and general hairstyling, waxing, eyebrow tinting, and even cosmetic tattooing (microblading). “I hated driving all over the place for my brows, nails, makeup, and hair, so I thought it would be helpful to have one stop for everyone,” she says. 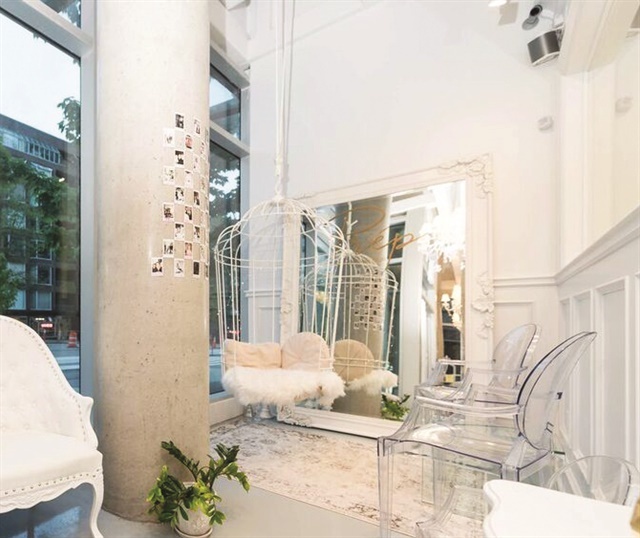 Now employing over a dozen beauty professionals and counting, Prép has understandably become the go-to spot for Vancouverites seeking almost anything beauty related. Prep’s stunning and crisp all-white, French-inspired decor is a mainstay of their reputation. Although McInnes’ love for her decor choice is unwavering, she admits the inevitable challenge to keep an all-white salon clean is daunting. Their signature look often provides a backdrop for professional bridal photography sessions, as well as clients using their iPhones to post to social media, giving Prép additional exposure and free marketing. In addition to being a blogger’s photo haven, the vibe is especially fit for brides and their entourages, though the Prép team sees anyone from little girls on their fourth birthday to prom-goers to older women who just want to be pampered. 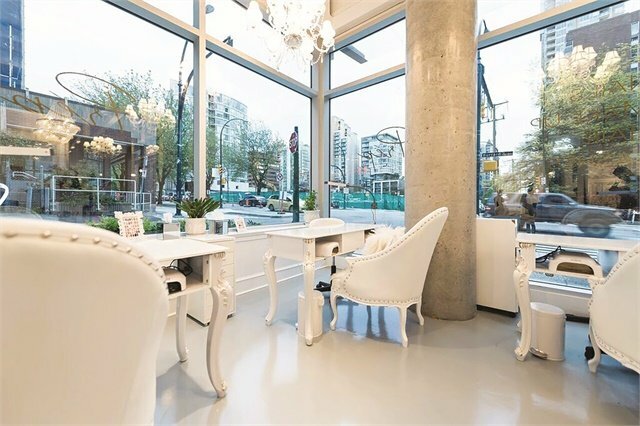 The large paneled windows allow passersby to gaze in and admire the picturesque salon from afar, which brings in Prép’s neighbors from the relatively upper-class West End of Vancouver. It’s a colorful and lively neighborhood with lots of “yummy” restaurants and entertainment options, as well as the location of the city’s annual Pride Parade. Although it’s within a couple of blocks of her old business, McInnes says the move to a corner of a heavily trafficked street has been instrumental in the salon’s rapidly growing clientele. Nails account for about 40% of Prép’s income, while lashes are another 40%. The rest is made up of appointments for hairstyling, makeup, microblading, and a small portion of waxing/eyebrow tinting. Brides are offered packages like “The Princess,” which includes a hair and makeup trial before the big day, as well as wedding day hair and makeup with a full set of eyelash extensions. Customers can host events or have their headshots taken by a photographer that Prép can coordinate. As for nails, three of the technicians focus on gel extensions, while the other two techs focus on gel-polish. All five of them specialize in both simple and elaborate nail art “with jewels and everything,” McInnes says. Much of the nail art is created with Japanese nail products, a trend that is both appreciated in the area and difficult to find at other nail salons. The international nail team consists of five women from places that include the Middle East, Japan, Vietnam, and Russia — McInnes says Russian nail art is almost as big as Japanese — and one nail technician is a native Canadian. McInnes only hires nail technicians who have been in the industry for three years or more and are already skilled in creative manicures. Although she doesn’t offer nail art training, she provides the staff members with business cards and headshots to help promote their brand as a beauty professional, whether their role is lash technician, social media consultant, or store manager.